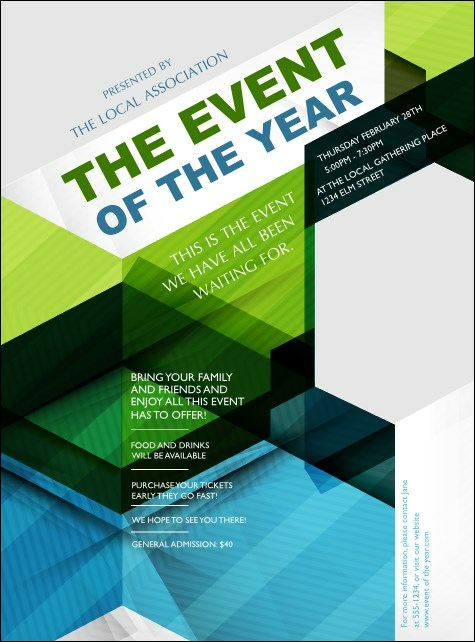 Celebrate great design and clean lines when you post the All Purpose Hex Flyer before your event. This flexible design can be used for artistic or music gatherings, with clear blues and greens in pretty geometric shapes. Promote your event by adding 24 lines of details to the template.